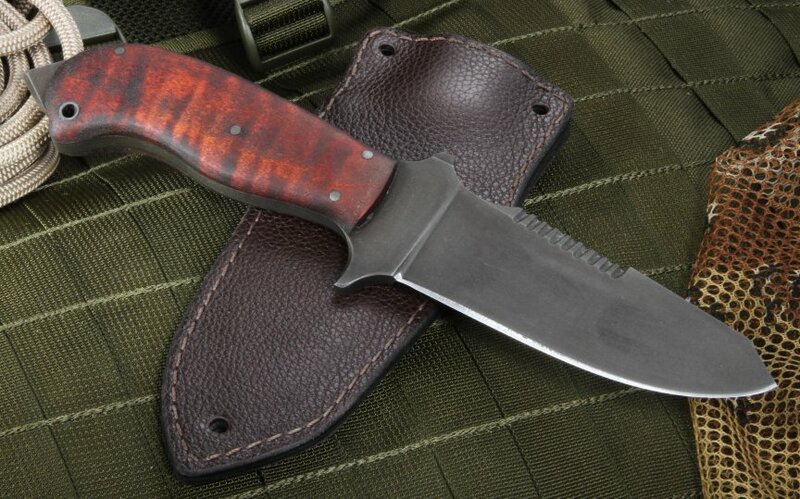 The Winkler S.A.R is a full sized fixed blade that was designed for a variety of uses that a Search and Rescue team might face. Winkler's lifelong experience in knifemaking goes into each of his designs, all to create a high quality American-made blade. The blade on the SAR is stainless 154CM steel - a high quality cutlery steel made by Crucible Industries in New York State. The drop point blade has top edge serrations and is black caswell coated for a non-glare finish. The handle on the full tang knife is fitted with maple, a signature handle for Winkler Knives. 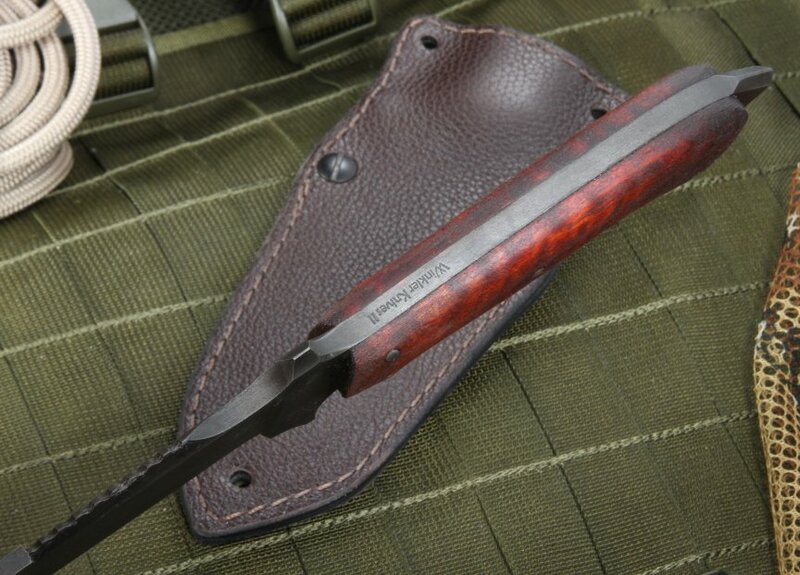 The handle on the Winkler fixed blade has a comfortable grip and a exposed pommel spike as a glass breaker on the end. The maple handle has lanyard hole in the handle and provides a thumb ramp on the top of guard/handle. 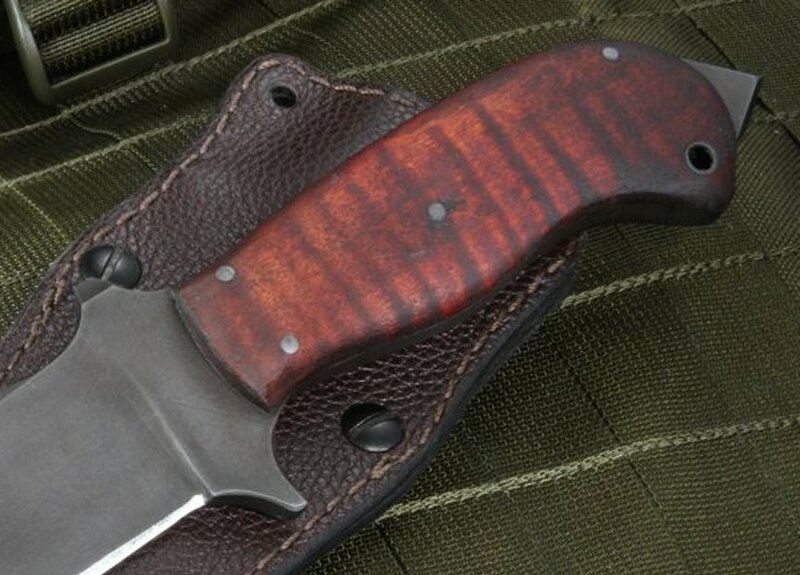 Winkler always designs his knives with a purpose in mind for the end user, be it for a miliatry unit, search team or the civilian that appreciates a fine cutting tool. 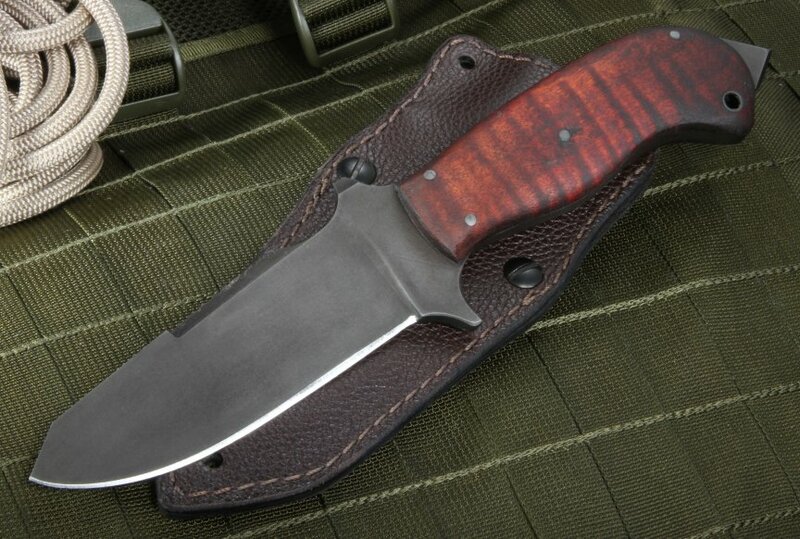 Purchase with confidence, KnifeArt is a Authorized Dealer for Winkler II knives. We ship the same day your order is placed and provide a full satisfaction guarantee. Good price, free shipping, fast delivery, and just a wonderful experience. The knife itself is an amazing piece of work and I wish people would stop asking if it's sharp because my arms look like I have mange after showing them how sharp it is.